Today we will take a look at a forex broker out of New Zealand, Mahi FX. 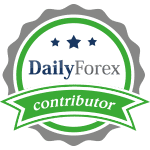 We were a bit unsure if this forex broker is from New Zealand or Australia as they are regulated by the Australian regulator, but both countries collaborate in this area in the same manner they collaborate in other areas. The web address bar indicates it as New Zealand and we will go with that for now. The one odd thing is that Mahi FX does not have an ‘About’ page. Well, we know that Australia has some of the finest women human mankind has to offer and that Australia/New Zealand seems to become more and more popular among forex brokers due to their business friendly economy. It is a very welcome development, so let’s see if their forex brokers compare to the dimes gracing the beaches. Besides that fact that an ‘About’ page is missing, Mahi FX greeted us with the best designed website and their presentation was top notch. There is not much more you can ask for when it comes to this area. Mahi FX does a lot with videos which is a great way to communicate and right on the front page you have an interview with the CEO of Mahi FX. Mahi FX has some of the best spreads in the retail industry which is a great start. Additionally they offer their own trading platform which seems top of its class as well and we are impressed by its functionality. Having said all of that, Mahi FX does not offer too much information or it is extremely hard to find. It appears as what others lack in transparency they offer, and easy to find information others offer they lack. It would be really nice for Mahi FX to make basic information easy accessible. They are very transparent about their founders and management team which is great. They have a nice tool about spreads and how it can and does affect your portfolio. Given that they are regulated, there is little doubt that Mahi FX is hiding something which makes it even more disappointing that some basic information is essentially impossible to locate. We have no idea if Mahi FX is a market maker, STP or ECN broker. We do not know how many currency pairs are offered or if other assets classes are available to trade. It appears you can find out all those answers after you open an account with them or if you ask them through support. Two claws up when it comes to design, presentation, spreads as well as trading platform and transparency about management. Two claws down on everything else given the lack of information. Mahi FX is a better choice than most other retail forex brokers and we would rank them in the Top 25. Overall we have to give them one claw up and one claw down for now. Thank you very much for taking the time to review our platform. We're really pleased that you find the site well designed and like our industry-renowned spreads. We’re sorry that you weren't able to locate all the information you were looking for on your visit and so would like to take this opportunity to answer some of your queries. Firstly, we are a New Zealand company with offices in Christchurch and London, England. We believe that adhering to a robust regulatory framework is important both for us and our clients. Because New Zealand does not have a FX regulatory authority we volunteered to be registered with ASIC, the financial services regulator of our neighbour Australia. MahiFX is a market maker, meaning we take the risk on to our books. By cutting out the middleman we are able to pass on institutional quality spreads directly to our traders, with no added commission or markup. Transparency is very important to us. We've taken on board a lot of feedback, including yours, including comments around some difficulty in obtaining information quickly. So when you revisit us you will a dramatically refreshed website with easier navigation and quick links to pertinent pages. We have also launched MT4 with a proprietary-built bridge to cater to the trading community that prefers that platform. We really hope that the new platform features will appeal to you and look forward to your continuing feedback which helps us to deliver a platform with the optimal trading environment for our clients. We really hope that you will come back and visit us again soon. Hi Susan, thanks for your comment and you are welcome. Thanks for the updates and yes I will come again and give an update on my previous assessment of you guys.